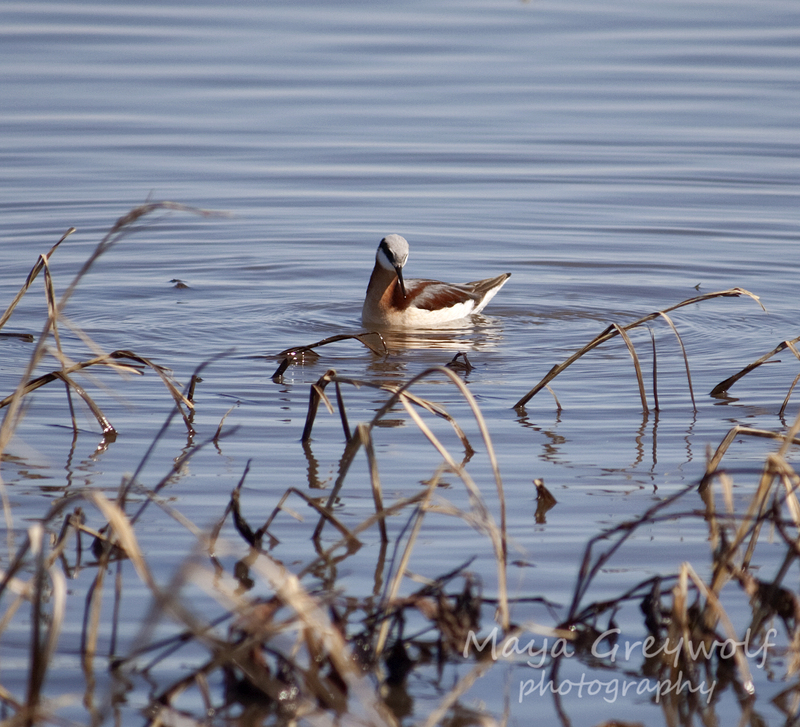 The phalaropes are a different bird when it comes to breeding behavior . Of the sexually dimorphic species, females are generally drab and smaller representations of their brightly colored male counterparts. With the phalaropes, it is just the opposite: females are larger and more colorful. Another role reversal is that the females court the males. Calling them promiscuous would be anthropomorphizing however, they often mate with other males (polyandry) once the eggs are laid. Before any of you fellas think that a bunch of pretty girls fighting to mate with you sounds like a world you’d like to live in, keep in mind that the males have sole parental duties of hatching and caring for the young.